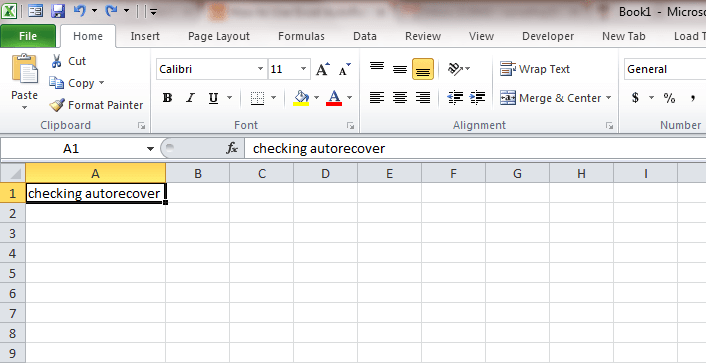 How to Use Excel AutoRecover and AutoBackup Features To Secure Data:- You have an important report to submit the next day and you, with great effort, have managed to get it to the end with perfection. You stop a second before saving the file to admire your work and Excel cheats on you by closing itself all of a sudden. You panic and relaunch Excel only to find out that all your hard work is long gone. Do I need to explain how that would make one feel? Read on, to not let this ever happen to you! 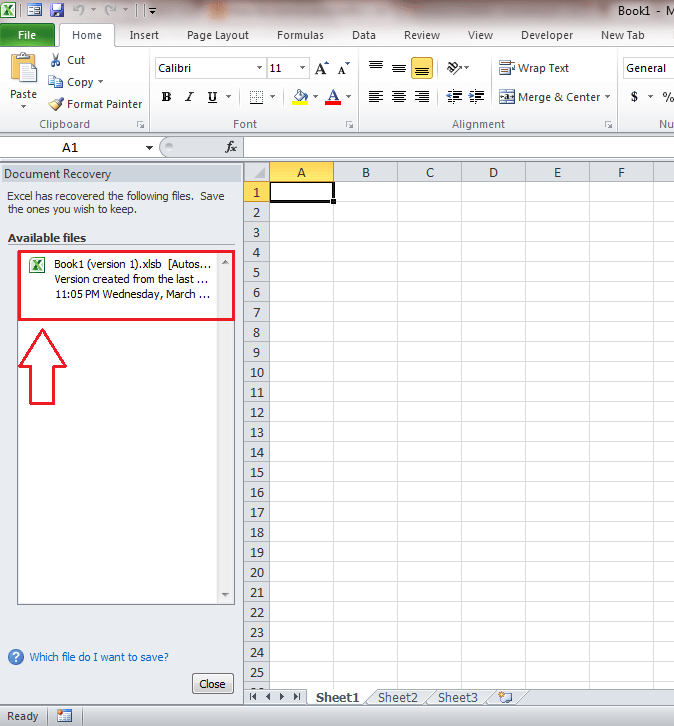 AutoRecover feature is one of the strongest features of Microsoft Excel that saves your document in a temporary location after a fixed interval of time. AutoRecover feature is turned on by default. 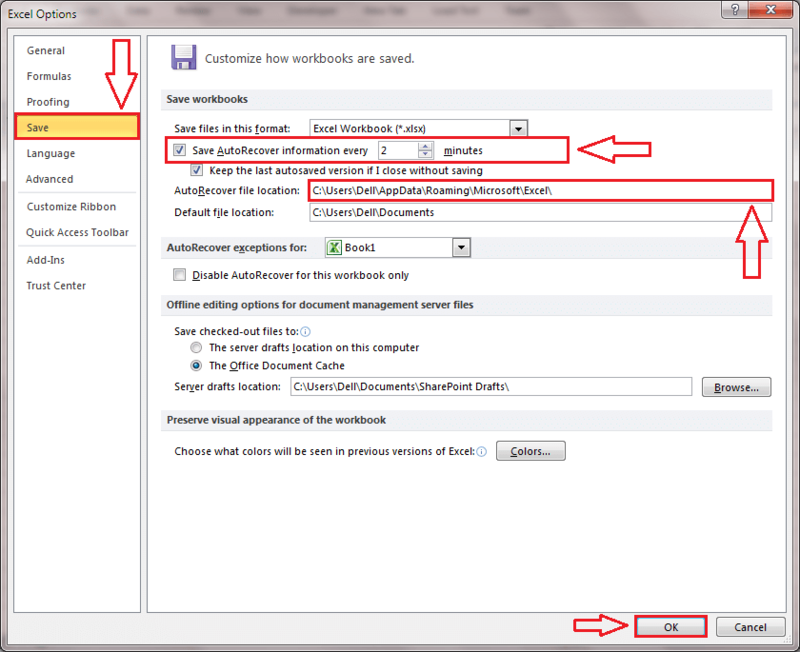 To view or change the settings related to AutoRecover, click on File tab at the top. Then click on the Options. A new window named Excel Options opens up. From the left window pane, find and click on the tab that says Save. In the right window pane, look for a checkbox that says Save AutoRecover option every — minutes. Here using the up and down arrows, you can set a preffered time interval. If you choose 2 minutes, your documents will automatically be saved in the AutoRecover file location that’s listed just below the duration settings every 2 minutes. 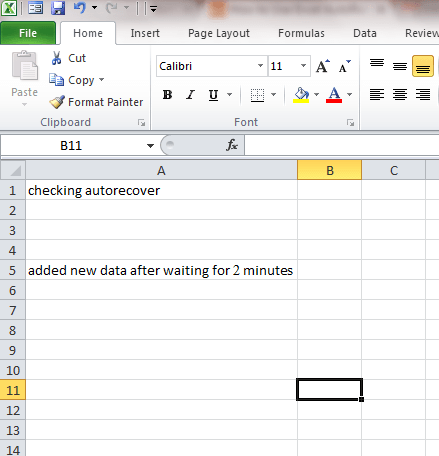 You have to note that for AutoRecover feature to work, Excel should be idle for atleast 30 seconds. To see how this feature can be made use of, let’s consider an example excel sheet. Add some data to it and wait for 2 minutes, the duration we have set, for AutoRecover feature to come into play. Now add some other data to the sheet. Let’s see whether this information can be retreived in the case of an unexpected failure from the excel side. 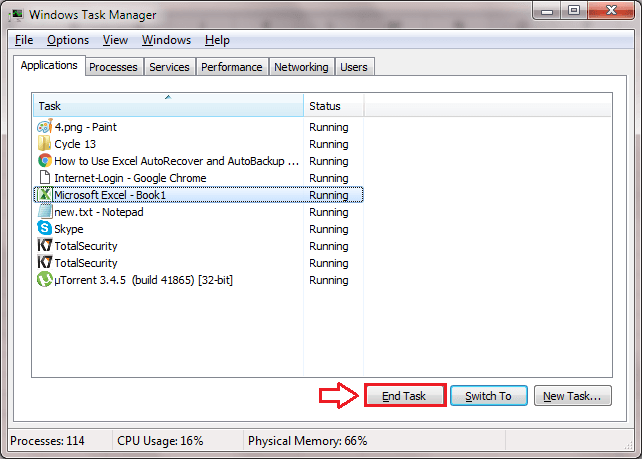 For that, simply open the task manager and kill the task as shown in the screenshot. Launch Excel again. 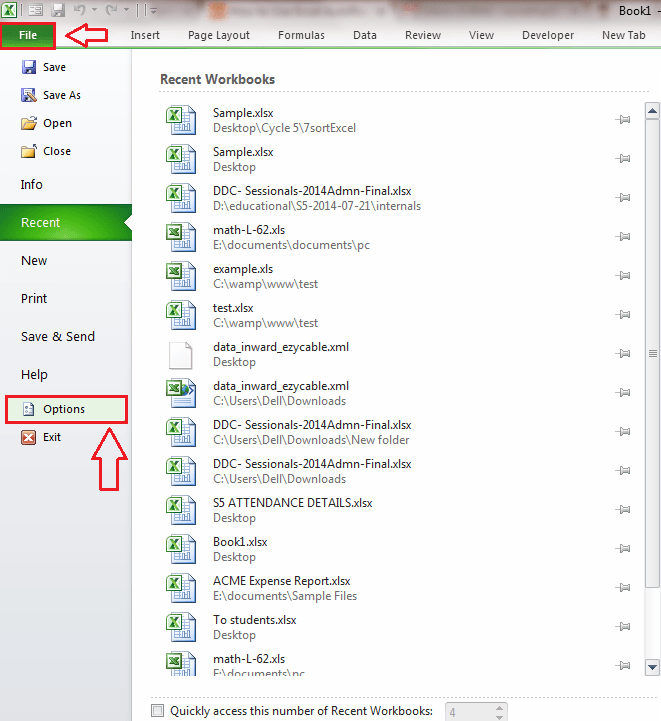 Now in the right side of the window, you will be able to view a section named Available files. Click on the recent one. There you are! Nothing is lost. All your data is safe and ready to be retreived or be edited upon. 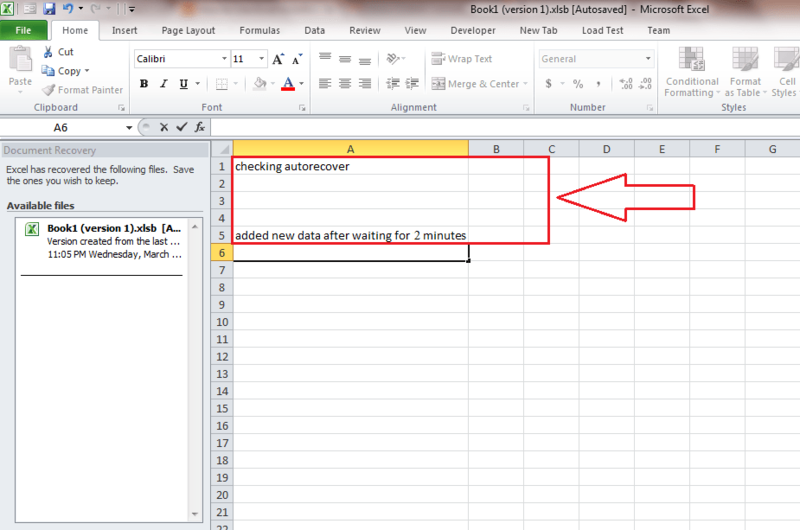 AutoRecover information will be deleted by Excel itself under some situations; If the file is saved manually, if Excel is quit or closed or if you turn off the AutoRecover option. There is another highly useful Excel feature that many people do not know of. That’s the AutoBackup feature. 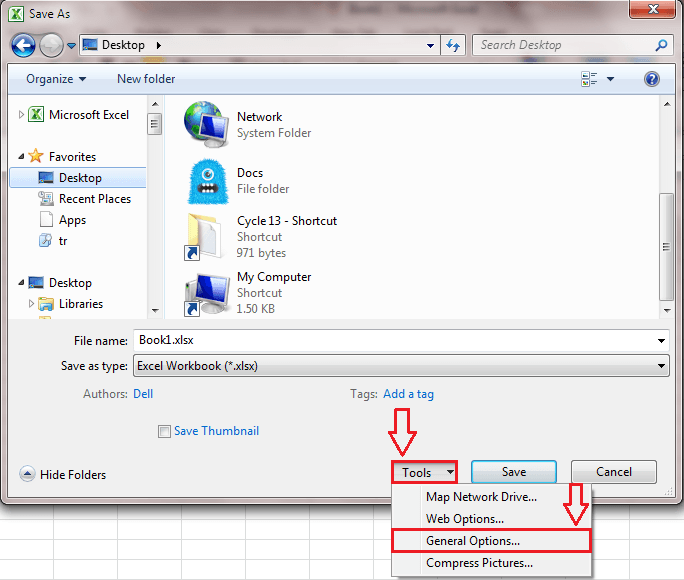 Firstly, click on File tab and then click on Save As as shown in the screenshot. Click on Tools button next and from the drop down list, choose General Options. 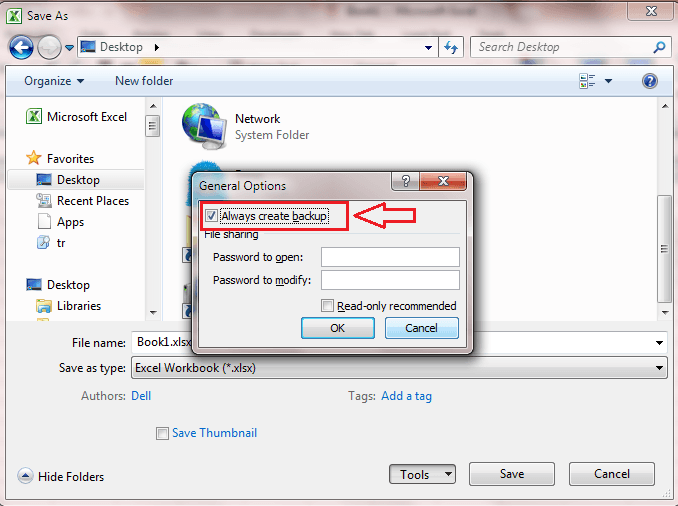 Check the checkbox corresponding to Always create backup. Check the location where you chose to save your excel file. 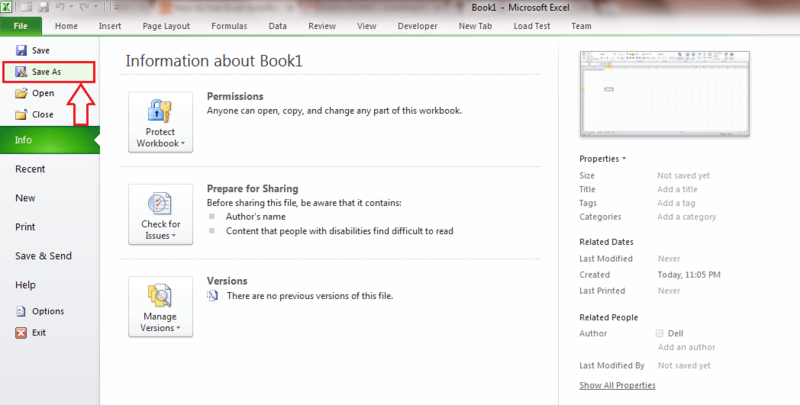 At the same exact location you will be able to see the backup file with the extension .xlk. The backup file will not have the recent changes in it. That is, if you make changes to a file and save it, the backup will not change. If you save it again with new changes, the old changes take place in the backup file. That is, the backup file will always be one version behind the current version. Now you can use Excel without having a worried mind. Relax and do your work; It’s all safe! Hope you found the article useful.